Discover a better way to sample the best of Ventura County’s wines without traveling further than Oxnard. 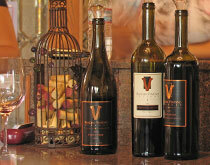 Rancho Ventavo Cellars is the winery and tasting room of choice for aficionados throughout the area. 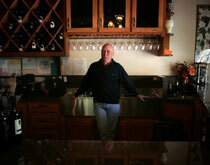 For more than three decades, owners George and Faye have created, bottled, and sold distinctive wines that continue to delight palettes around the region. Bring home some of your own when you visit our downtown Oxnard location today. 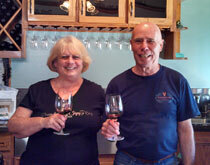 In 1995, George and Faye Gilpatrick joined Wine Investigator Novices and Oenophiles, or WINO, a local wine club. Their interest was piqued, and after a few years of sampling and numerous wine trips around the world, they decided to begin making their own wines. 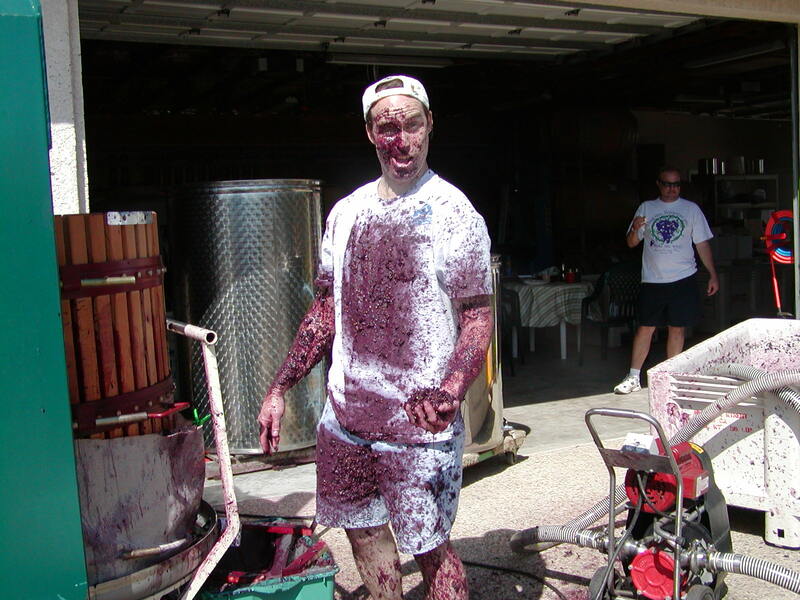 In 1998, a friend, Peter Nelson, invited George and Faye to make wine with him, and they gladly accepted. With the formation of this trio, they were hooked; in their first year, George and Faye made two barrels of wine. In their third year, they made three barrels, and friend Jim Knutson joined the group. They began to experiment with varieties and quantities, perfecting their creations and winning numerous home winemaking awards along the way. George divided his time between his day job and their 40-acre avocado and lemon ranch; however, in early 2005, Faye pushed him to take on another job, as she felt that he wasn’t making the most of his time. After a trip to the Russian River area, George and Faye decided to turn their passion for winemaking into a commercial endeavor. Faye agreed that if George would make the wine, she would sell it. Best of all, Ventura County is conveniently located between Los Angeles and Santa Barbara. In addition to wine tasting, guests can experience numerous fresh produce facilities, farmers markets, beach communities, historic buildings, towns, island cruises, and even train rides through the orange and avocado orchards. With so many options, you’ll never find yourself wanting for something to do. Although our winery is not open to the public, the tasting room is available for visiting casually, or for special events. 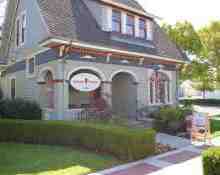 Visit us in downtown Oxnard today – we’re located in beautiful Heritage Square, in a 1902 Victorian home. Tasting fees run $10 per person. Drop by our wine tasting room to sample our latest selections, and be sure to bring along a friend or three.